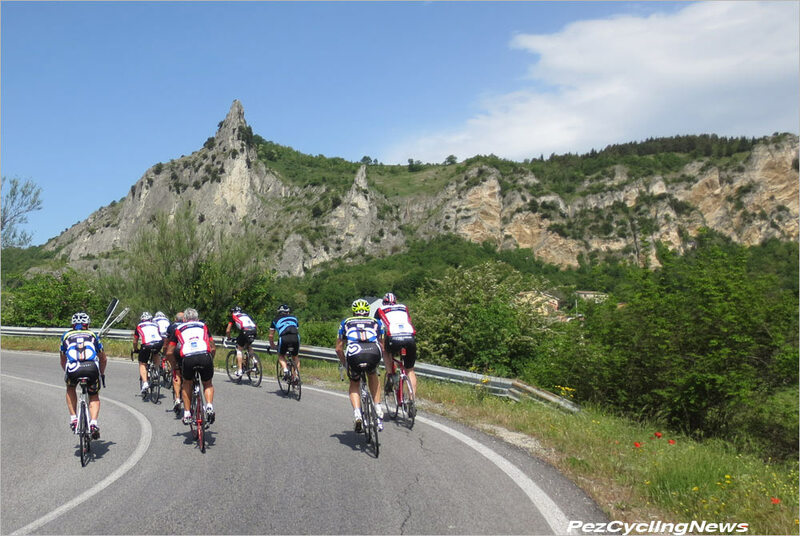 PezCycling News - What's Cool In Road Cycling : Top Ride: The Carpegna! 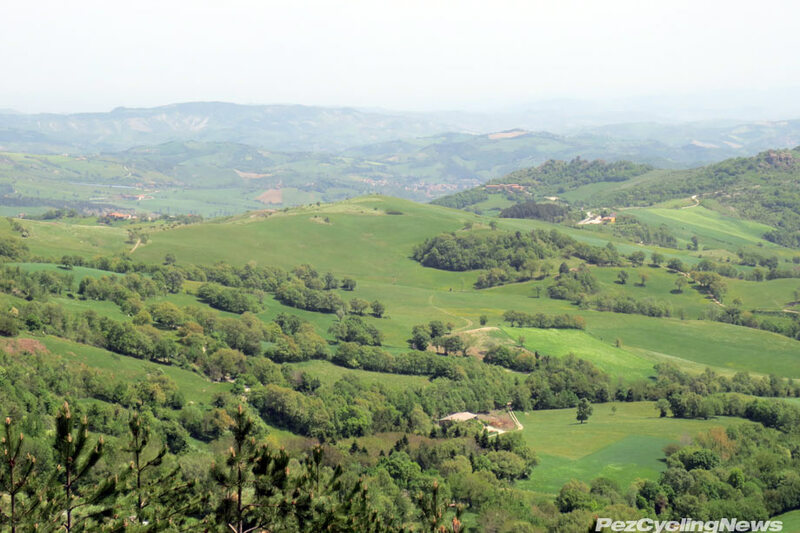 The Carpegna climb is best known as Marco Pantani's favorite training ground - and at 11%+ grades for 7km - it was a perfect place for the late climbing sensation to hone his legendary skills. I'd long wanted to ride it for myself, and got the chance this year while visting the bike Hotel Lungomare in Cesenatico. 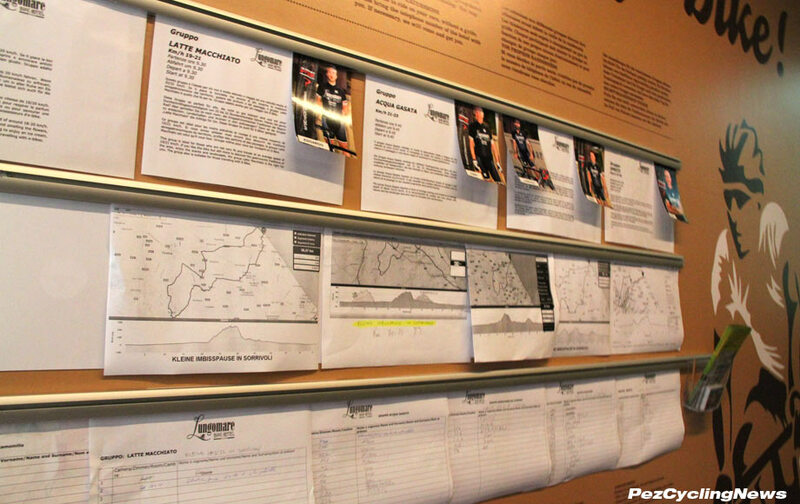 I once said that Marco Pantani was the rider I most regret not having interviewed - not that I've interviewed that many riders, but my gig as 'Pez' has afforded some pretty cool access to the sport's top riders. I first saw 'Il Pirata' before he'd taken his nickname when he exploded onto pro cycling at the 1994 Giro, where he won two epic stages in the high mountains, and announced his arrival with swashbuckling rides that dropped guys like the great Miguel Indurain and a super-juiced Evgeni Berzin at one of the most exciting Giros ever. Forget that EPO use was rampant, watching the racing as a naive fan made no difference - Pantani was thrilling to watch. He was tiny - he looked bigger on tv but I was surprised by his diminutive stature when I briefly stood next to him at the sign on for Milan San Remo in 1998. But that little man could light up the climbs - the steeper the better, and he was gone. His home base was Cesenatico on the Adriatic Coast - an area less known for steep climbs than for its miles of wide flat beaches that make summer in Italy more like a sunscreen lathered sardine squish. But just a few kms inland the flat turns to hills, and those hills eventually lead to the Alps. 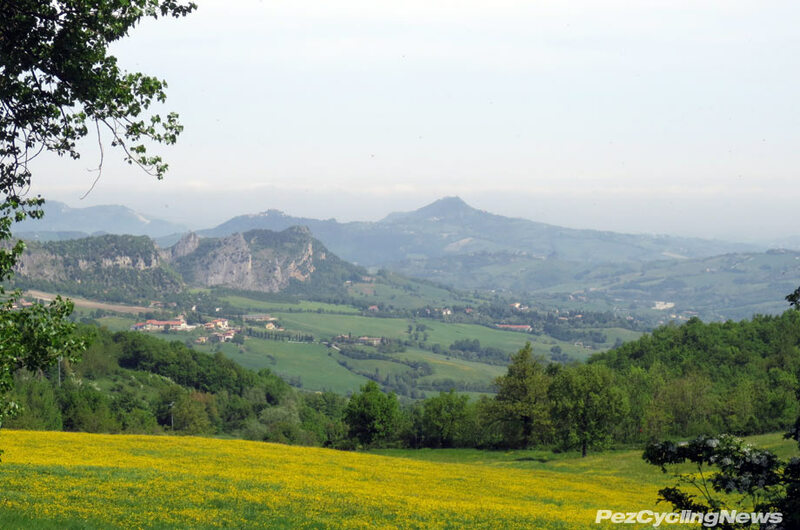 But while technically still the 'foothills', they do reach to 2500m elevation and host some excellent climbs - several of which make up Italy's most popular gran fondo - the "Nove Colli" (nine climbs). 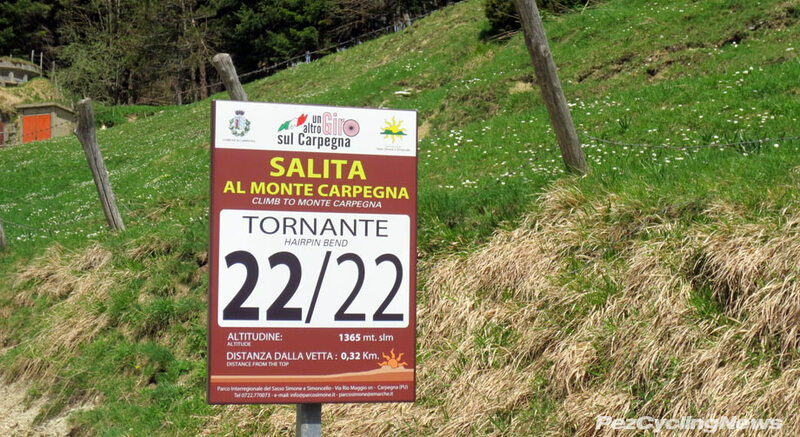 One of the steepest is the Carpegna - it's only about 7km long, but averages 11% grade - with many pitches much steeper. Now 11% is not out of this world steep, it's doable for most of us with the right gearing (34 x 28 or 30 is recommended), but when that slope doesn't relent for 7km - that 7000 meters - it's a grind... a grunt... even a ball buster. Taken alone it's no deal breaker either - but toss it in as the center point of a 120+km ride from the coast - and you got yourself a Top Ride. The views from the top of the Carpegna look like this - the Adriatic sea is in the distance behind in that marine haze. 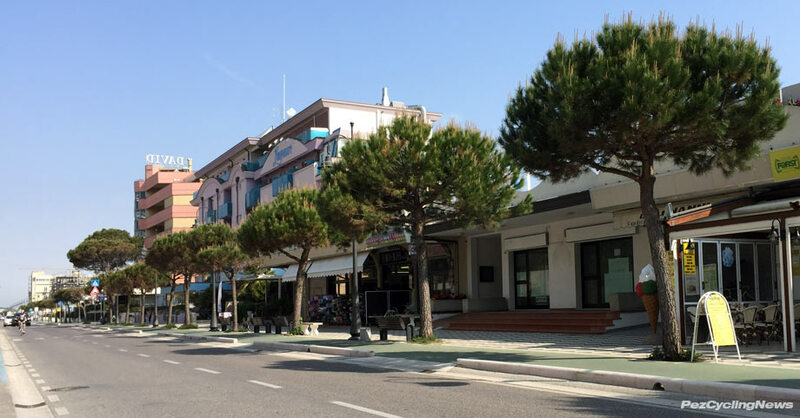 The region is home to several bike hotels and my ride started from one of the best - the Hotel Lungomare - just a couple kms down the beach from the centre of Cesenatico. The Hotel Lungomare has for years been a popular cycling destination with the Euros - most of whom can get here in 2-3 hours - and know the weather, facilities, and riding are excellent from April or earlier, through the end of October. I first introduced the Hotel Lungomare here, but went there in May to see it myself. A few words here on why the Hotel Lungomare is so good. First off, it's a family run hotel, which means the owners (ie: your hosts) really do care that you enjoy your stay enough to come back and even tell your friends about it. 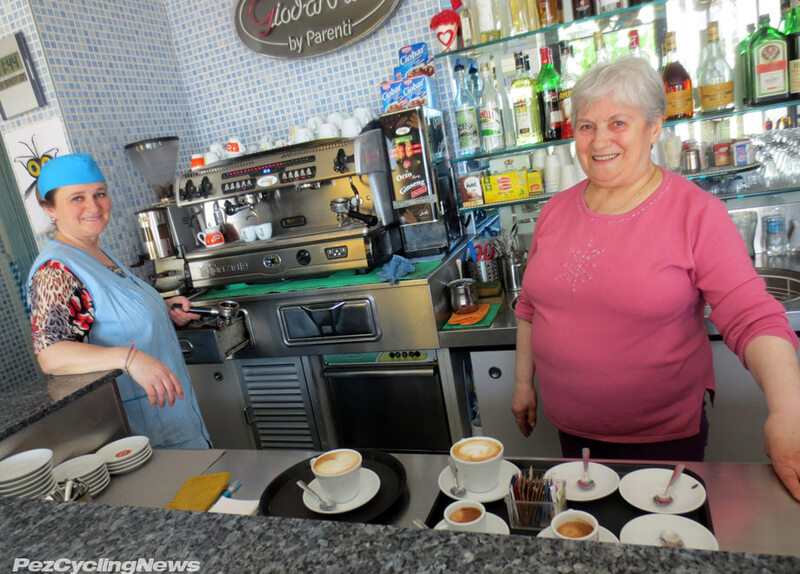 Silvia Pasolini oversees all daily operations now, but the property has been in her family for decades. She grew up in the hotel, often hurrying home from school to help out as a young girl, and admitted to me she's happiest amid the hustle that comes with running a business that 99% of her clients associate with holidays, vacations, and good times. The rooms are modern and spacious (even by North American standards). Three full meals are served buffet-style daily in the large dining room, the bar is always open (as long as someone's at the front desk), there's small but well appointed spa (I got an excellent recovery massage here that put an end to all the pain I collected on this ride), and maybe best of all - there's an expansive, fully secured bike room, complete with work station, tools, cleaning station, compressed air, numbered hooks and locks for your bike... what else could you ask for? There are guided rides for all levels of cyclists and daily laundry for your kit. Oh yeah - it's right on the beach, and has a large pool if the salt water of the Adriatic Sea is too salty for you, and is easy to reach from Italy's A4 autostrada, and airports in Bologna or Venice. But the quality I like most about Hotel Lungomare is the most difficult to describe, but maybe the easiest to feel. While Silvia is mother to two young teenagers, she's also the mother of this hotel, and in some ways, her guests. Not the doting over-protective kind, but the kind who keeps it all under control from the background (and with the help of her excellent hand-picked staff). 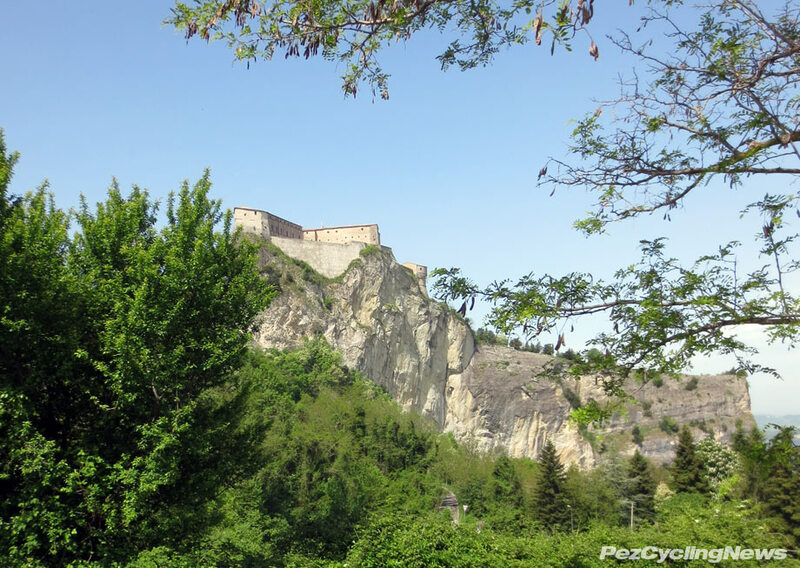 And if that's not enough to convince you to consider a holiday here, they also host several professional and amateur cycling & soccer) teams - so if they can handle the demands of Team Sky or Astana, they can likely keep you pretty happy too. The hotel's ride board gives plenty of detail for tomorrow's rides. I'd heard stories of the climb from friends who'd ridden it during last year's Giro d'Italia stage 8, and luckily I'd picked the day that one of the five groups from Hotel Lungomare had this loop on the agenda. I checked the ride board in the hotel lobby and confirmed the 8:30 ride time. The ride leader was Elio - one of Lungomare's more senior guides - and by that I mean he's about 70 years of age, but rides something like 20,000km a year and looks like an active pro everywhere except his face - which is etched with the the kind of character one can only get from, well, riding 20,000kms a year. His English is limited, but no matter, I was joining the 'fast group', made up of some Austrian guys here for a week of training, some Swiss guys, a smattering of northern Europeans and myself - the lone Canadian. Most modern Europeans speak some English these days, and the group was friendly and welcoming. Elio (on the right) leads us away from the coast. Today's pace was set for about 28-30km average for the 120km ride, meaning we'd be back by mid afternoon. The early miles were done at chatting pace as we made our way through country lanes and quiet back roads heading inland. The marine fog looked like rain where I come from, but we knew it would burn off as we moved away from the sea. Elio sat on the front and kept the pace calm (and no dared break ranks either), while I had a chance to talk to several of the other riders in our 20-strong group. Most of the group was pretty fit - but not racers - just guys who love riding and take it seriously enough to actually book a week's training with their buddies and club mates. It's worth mention here that each of this day's 5 riding groups went on a different route and a different pace. This is standard practise from the better bike hotels who offer rides for all levels of riders, which can make for a great cycling holiday in Italy with your spouse. 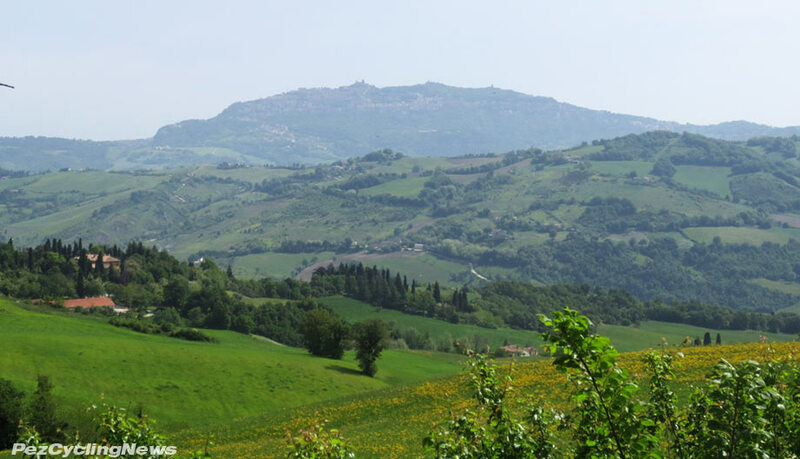 From Gatteo a Mare we headed southwest - inland and through towns called Poggio Berni, Verucchio, and past the principality of San Marino which always looks stunning. Starting from sea level this would be a day of honest elevation gain, and the opening 20km went by so gently that I never even noticed we'd gained almost 300meters. 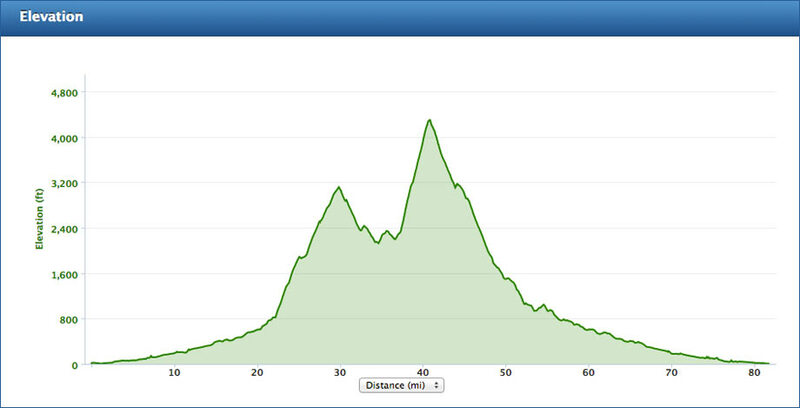 There are really two climbs on the ride, the first rises to almost 1000 meters on grades that hover in the 5-8% range. By now the sun had come out, layers were shed, in spite of feeling excellent after the easy early miles, I was unsure how my legs would respond to what would be my longest ride of the season so far. I'd sort of tricked myself into thinking this was really just a long climb to the Carpegna, but in fact this stretch of 10+ km going uphill began to take a toll, and more than a few kms before our planned coffee stop, I was already wondering where the coffee stop was... maybe not such a good sign. Into the town of Villagrande Elio herded us into a small cafe and drinks and cokes were duly ordered. Some of the guys cracked into the paninis they'd made at breakfast - while I massaged a hot spot out of my left foot and considered the mixed bag of physical sensations my body was beginning to feel. It had been a slow season of riding for me, and I was clearly not on form, but damn the torpedos - I was doing this ride and would happily suffer the consequences later. It was here too that I saw a glimpse of Elio's leadership style. After about 10-15 minutes max, Elio got up and signalled that coffee was over and there was riding to be done. Dang - that sun was feeling pretty good as I sat back and enjoyed coffee 'numero due', but I could see Elio would not disappoint us with a later than planned return to the hotel. 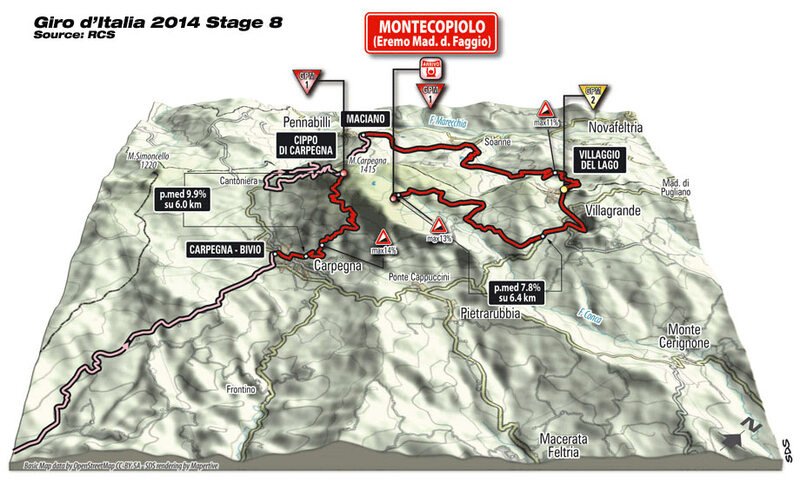 The next 10km are more or less down hill, and lead right into the town of Carpegna. The town is small, perched on the side of a hill / small mountain. There's a military base nearby where it sounded like some live ammo large munitions training was underway, and every so often a couple of fighter jets buzzed overhead. In the center of town we hung a hard right and the climb begins almost right away - but like most of the best climbs - we had to climb a bit before we got to the actual climb. Then ... BAM. Straight up. I ran out of gears faster than I could find my 28t cog, and attempted to settle into a rhythm. This strategy - which almost always works, failed me in the manner much like a 28t cog that just won't engage when you need it. As other riders from the group soldiered ahead, some even with the strength of ten men, I seemed stuck in reverse. Thinking quickly, I remembered my camera, and found something to take a picture of. This of course required coming to a complete stop - but as you can see below - I think the sacrifice was worth it - as I captured the other riders' misery disappearing in the forested distance. Soon enough I was alone - left to my own devices - and two legs to tackle and absorb the slopes of Pantani's favorite training climb as best I could. The road is steep - unrelenting, and man, I'd forgotten how far 7 km can be. There are 22 numbered switch backs on the way up - but not all the switchbacks are numbered. But things took a massive turn for the up over the back of the climb, and its amazing descent - essentially 60+ km all the way back to the coast. But those first 14 or so off the top are fantastic - and worth doing the climb for on their own. For a while I found myself in the sweet spot behind Elio - following his lines and speed as the we swooped down fast no-braking curves on an excellent road. I wish they'd make amusement park rides like this... but I doubt they could. 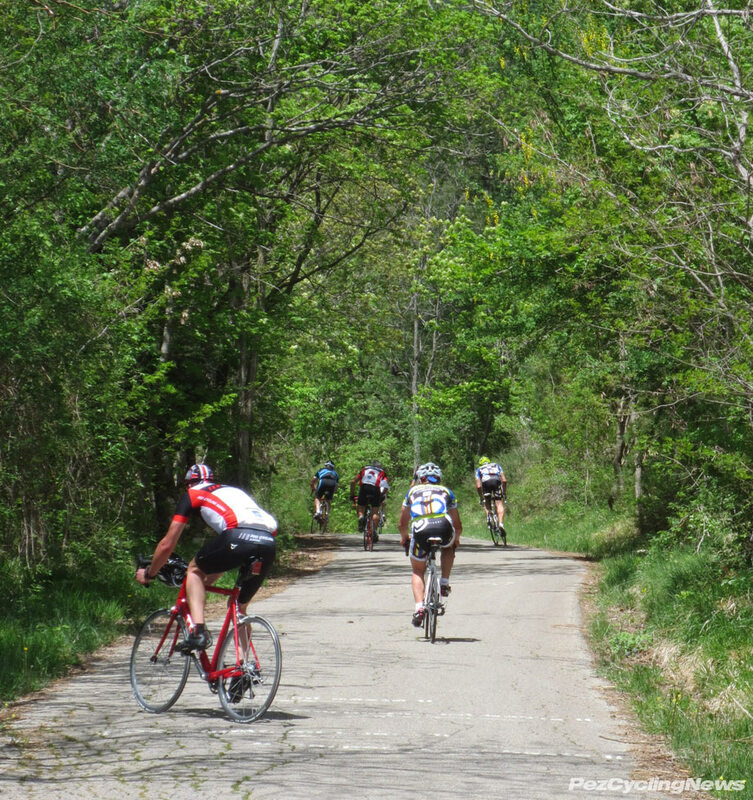 From the bottom of the descent proper, the road drops at 2, 3, 4% grades for kilometers. Here the group fell into a super-fast paceline that was pretty intense, in the drops style speed-balling. There was some traffic, but few stop signs to note, and he hummed along in at 40-50kph for long enough that my shoulders and hands began to feel it. But I'd found my second wind and for a long time enjoyed turning the pedals over with ease and something resembling 'supplesse'. By now Elio had taken up residence at the back. Not because he was tired, but because he could keep an eye on the group from there. A couple times he pulled out and just soloed past the 20 of us to have a word with whoever was on the front, then freewheeled his way back again, until something else up the line required his attention. Riding with him was inspiring - that's the kind of hope for myself I appreciate. By the time passed a road sign signalling 7km to Cesenatico, I was running on fumes. My legs were toast, every joint in my body was aching, and the only thing that kept me going was maintaining the forward momentum I'd already built up. It became a game of mind over body 'haul my carcass' those last few kms. 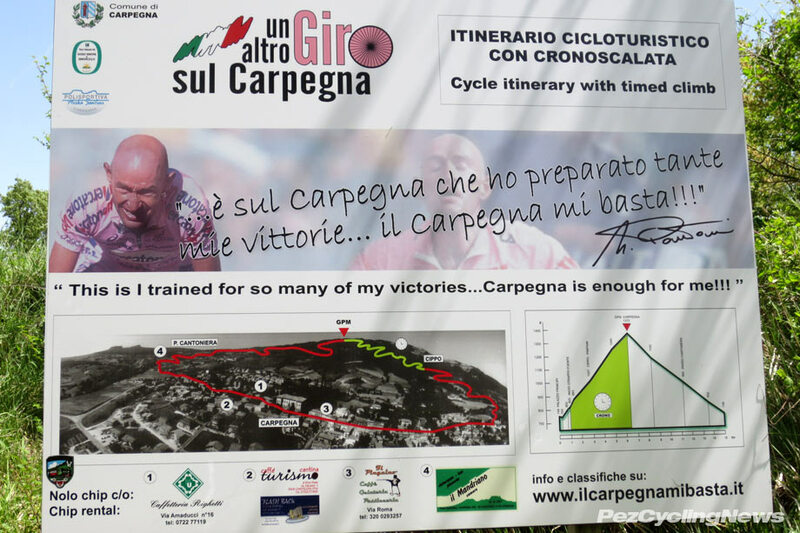 I recalled that the climb of the Carpegna was also 7km - and felt my spirit sink when we hit a highway overpass and one of the other riders saw my distress and pushed me over the top (a helping hand was never more appreciated!) My desire to 'not get dropped' was the only thing that kept me going - even as the pace had slowed to what only a few hours earlier would have been a piece of cake. As bad as I felt physically, the elation of having completed that ride was - as you'd expect - enormous (possibly enhanced by my complete lack of blood sugar). I can still remember that cold beer... and then there was the massage. All was soon well again in my universe. 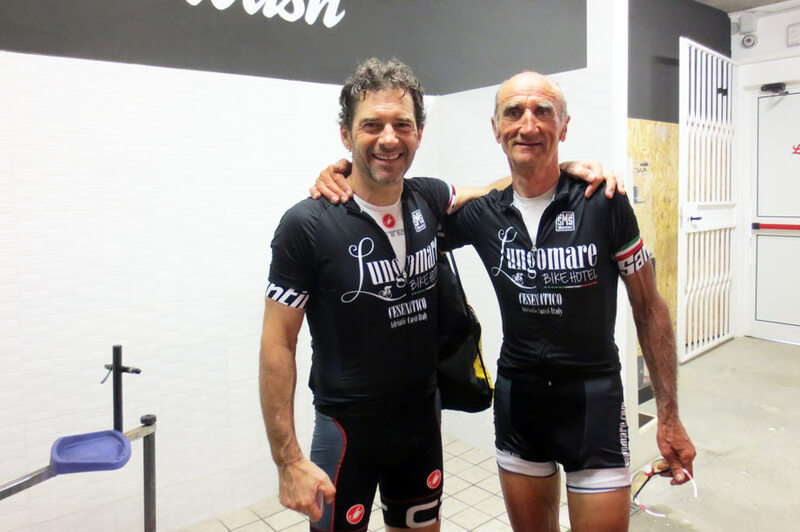 Me and Elio - that guy can ride!